Lake Wanaka - a land of striking mountains, deep alpine lakes and air as clear as crystal. Long hot summers and cold snowy winters create a land of outdoor adventures - Mount Aspiring National Park and four international alpine resorts are on the doorstep. A land for relaxing, surrounded by scenery that feeds the soul and inspires the heart. A land to enjoy award-winning Central Otago wines and fine food, to experience arts and culture influenced by its spectacular setting. A land that seduces you with its beauty to stay and immerse yourself in this piece of paradise called Lake Wanaka. Lake Wanaka... rejuvenation of the soul. 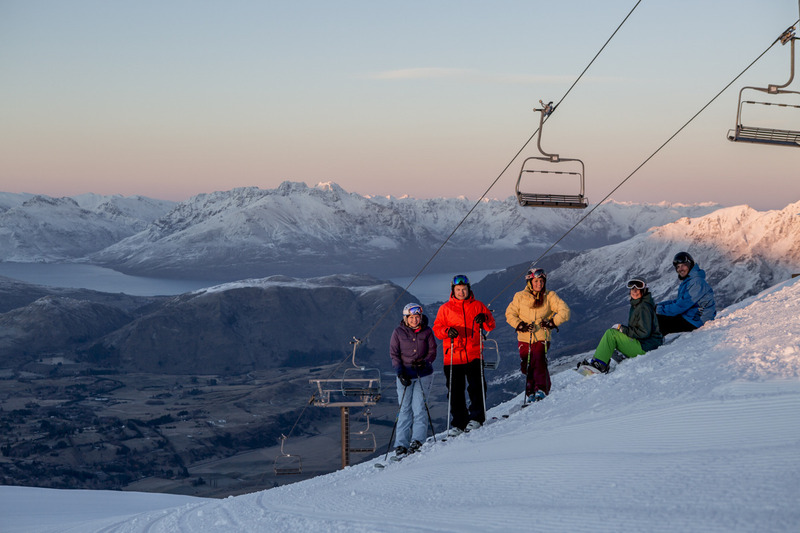 Treble Cone is New Zealand’s premier big mountain ski resort renowned for its stunning scenery across Lake Wanaka, varied terrain and legendary powder days. With a strong local following many of Treble Cone’s customers have a passionate love affair with the hill they call TC. It’s not just about being a great skier or boarder — it’s about being an enthusiast. Renowned for deep Nor’-west powder days, Treble Cone’s proximity to New Zealand’s Southern Alps and high altitude means reliable natural snow and good ski conditions all season. One day is not enough to fully enjoy this popular mountain. Full base lodge facilities include café and bar, childcare, rental centre, accessory shop, ski and snowboard school and medical centre. Treble Cone skiing terrain comprises two basins differentiated by aspect and formation. The mountain offers dedicated slopes for beginners, long and wide intermediate groomed trails, plus thrilling runs to challenge even the most accomplished skiers and riders. Off-piste skiing and freeriding is legendary with chutes, bowls, gullies, natural half-pipes and terrain features. 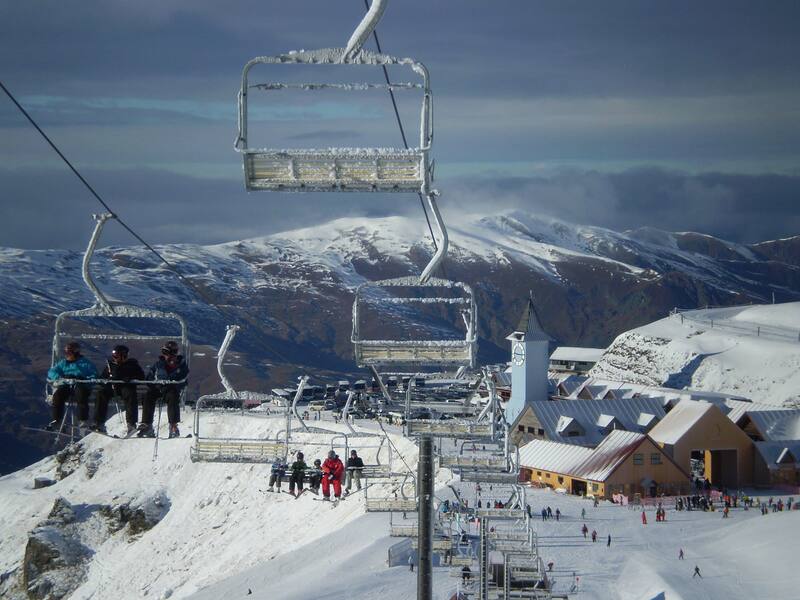 Cardrona’s higher elevation and southerly aspects ensure great natural snow which is further enhanced with snowmaking. Cardrona is a great mountain for beginner and intermediate abilities (80% of terrain), with gentle wide open slopes, and 3 Magic Carpet Learner lifts result in an accelerated learning curve. Cardrona boasts the only beginner trail in New Zealand that runs along the mountain’s peak! Beginners will literally feel on top of the world with breathtaking views from Lake Wanaka to Queenstown. New Zealand’s total family resort, Cardrona offers the best options for kids, with two licensed Early Childhood Centres (Cardrona Kindys) and two dedicated centres for our extensive Kids Ski & Snowboard School. Cardrona is also an incredible playground for freestyle skiers and boarders. Slope facilities include three terrain parks with a wide range of rails and jumps, up to 3 halfpipes, and a Gravity Cross course. In 2010 The Valley View Quad chairl opended, which is opens up even more intermediate and advanced skiing and riding terrain. This new additional will increase Cardrona’s vertical drop to 600m! Cardrona Alpine Resort offers something for everyone, from those wanting to experience the joy of skiing for the first time to those that just can’t live without their fix of winter excitement. Central to everyone is the need to know just where to go on the mountain to enjoy them, and that’s where this handy Trail Map can help you to chart the quickest route to your chosen activity. Closest ski resorts are Cardrona and Treble Cone, both mountains are approx. a 35 minute drive from Wanaka. Wanaka is the gateway to Mount Aspiring National Park and the Te Wahipounamu World Heritage Area. You can ski at Cardrona and Treble Cone, go fishing and enjoy water sports on pristine alpine lakes. 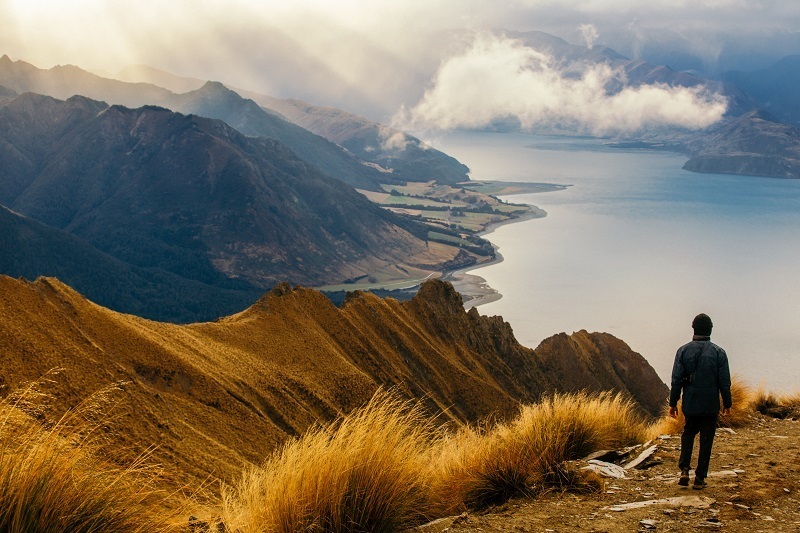 Wanaka is arguably one of the most scenic areas in New Zealand with breathtaking alpine views and a host of flora and fauna including the endangered Buff Weka on Stevenson and Mou Waho Islands. You can get a shuttle from Wanaka to both Cardrona and Treble Cone or you can self drive. Make sure you have suitable chains if you self drive.